To ensure the apartment has plenty of light, internal walls have been kept to a minimum. The collection of antique Tibetan rugs, which covers every inch of floor space, adds a sense of continuity between the living and Dining areas. By keeping colours consistent, Stuart ensures decorative cohesion. Kou decided to transform her large apartment into a more intimate environment by creating a series of alcoves off the main living room. For the study, she installed folding doors that can be rolled back if required. 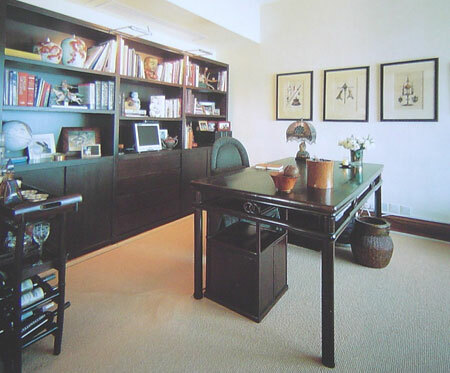 The table was an old calligraphy table which has been reduced in height to function as a desk. The turquoise beaded lamp, made in Europe in the 1930s, is an example of Chinoserie. 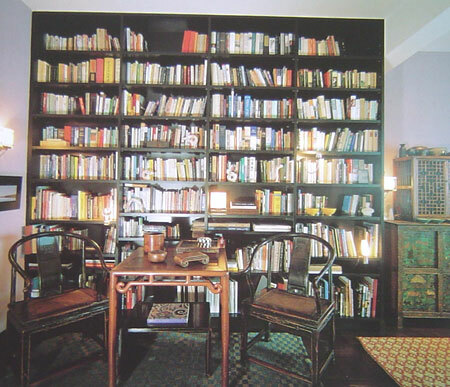 The library was the second most important room, and was vital to the educated elite. 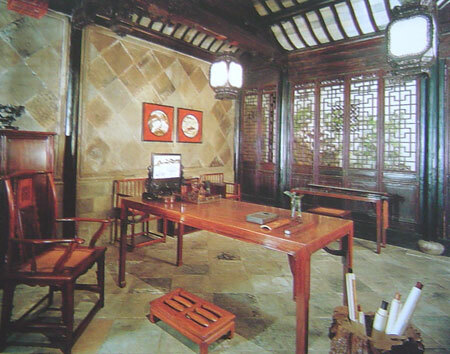 Here scholars would read, write and converse in a meditative atmosphere. This library is dated to 1797 by a commemorative plaque. When hardwood furniture is placed in its original context, its close relationship to classical architecture (both aesthetic and technical) is clear to see.